See individual shows for performance times. Please see individual show pages for any specific access information or suitability warnings. A Festival for theatre companies. 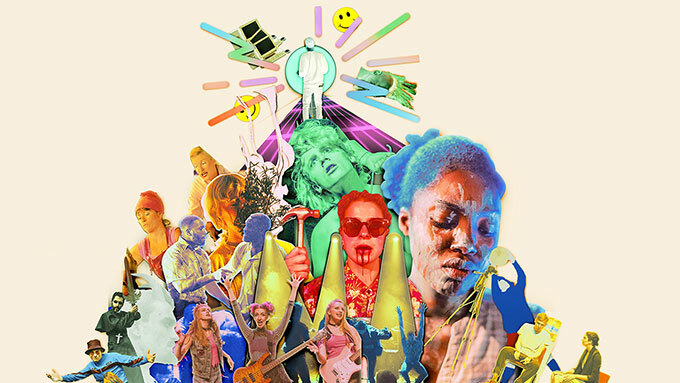 A Younger Theatre and New Diorama join forces once again to bring you INCOMING Festival 2019: one week of the best emerging theatre companies from across the country. This is an unmissable festival for audiences and aspiring theatre makers alike, and all tickets are just £5. Alongside the curated festival of inspiring performances, there will be workshops, talks and other events, all of which will be announced in the very near future. In 2019, INCOMING Festival will take place across three cities. Alongside New Diorama, the festival returns to HOME in Manchester following a hugely successful inaugral year, and, for the very first time, Incoming heads to Tobacco Factory Theatres in Bristol. INCOMING Festival is supported by New Diorama Theatre's Emerging Companies Fund and Arts Council England. 19:00 | Watch This Space - Show to be announced. 20:30 | Watch This Space - Show to be announced. Workshops to accompany the Festival will be announced very soon - keep an eye on the Incoming Festival Website and social media channels for announcements. A Younger Theatre was founded in 2009 to give a platform for young people to have their voices heard on theatre and the arts. Established initially as a publication, A Younger Theatre actively encourages and nurtures emerging arts writers and theatre-makers. INCOMING Festival marks the first artistic endeavours of the company.